For the first end-of-the-year post on What They Call Games, I thought it would be good to start a tradition for future years. Here I'll look back at all the games I played the most during the year. They aren't necessarily the hottest and newest games of the year, they're just whatever I happened to play. For each, I'll give a short review and share my thoughts on them and I'll put them approximately in the order in which I played them during the year. Since I played quite a few games this year, I'll be splitting this into two parts. Here we go! The Legend of Zelda: Skyward Sword (Wii) - I actually liked the motion control for this game and it'll be hard to go without it in future games. The overworld wasn't all that fun to explore but for the first time since Wind Waker I actually cared about doing side-quests for some reason. The story and characters were better than usual and it was overall one of my favorite Zeldas. Rayman Origins (PS3) - This is a super good and often challenging platformer that I think surpasses the New Super Mario Bros. series in many ways. With time trials, hidden cages, and target scores to attain in each level, there's a lot to do if you want a challenge. The music and graphics are great too. You should definitely check this one out. Terraria (PC) - I keep coming back to Terraria. As much as I tried to like Minecraft, I wasn't able to get into it because of the lack of a goal and permanent progress. Terraria is different from Minecraft in a lot of ways, but one of the main things that makes me prefer it is that the bosses, weapons, and armor (which don't break like they do in Minecraft) offer more concrete goals to work towards. There really is a heck of a lot to do in this game and it's easily worth the price. Chrono Trigger DS (DS) - If you like RPGs at all, you need to play Chrono Trigger. I can't believe I waited until this year to finally finish it. I didn't actually do any of the things exclusive to the DS version, but having the battle menus on a separate screen definitely made it look nicer than the original SNES version. The story, characters, music, and battle system are all great. It's hard to find anything wrong with this game. Tales of Symphonia: Dawn of the New World (Wii) - I had been in the middle of this for a while and finally finished it this year. The battle system was fun, as is always the case in Tales games, and capturing monsters was pretty neat. Unfortunately, the story didn't get interesting until the very end. If you're a fan of the series, you'll probably like this, but otherwise you might want to try a different Tales game instead. Journey (PS3) - You may have noticed that Journey has been winning some awards lately. I'm not sure if it's deserving of "Game of the Year", but it certainly is a unique and enjoyable experience that shouldn't be missed. Like That Game Company's other games, Journey is interactive art; the graphics and music are absolutely beautiful, but I think even gamers who don't like "art games" like Flower and Flow might like Journey. At least check it out. I recommend playing through it in one sitting and taking precautions so that you won't be interrupted while you play. Getting distracted in the middle of Journey is like hearing a crying baby in the middle of a concert of classical music. Don't let it happen. Tales of Graces f (PS3) - I received the Japanese version of this as a gift just a couple weeks before the English version came out. It took me till the middle of summer to finally finish it, but it was quite fun. I didn't think the story or characters were as memorable as other Tales series games, but the battle system was better than ever. It's certainly a solid entry in the series and worth playing. PixelJunk Shooter (PS3) - This PSN game is a fun gem. You fly around and shoot things and move fluids to rescue little guys standing around in caves. It's not like "holy crap the most fun game I've ever played" but it's well polished and enjoyable to the end. Twisted Metal: Head On (PS2) - So apparently this is a remake of a PSP game? I didn't know that at the time. I bought it because the new Twisted Metal was coming out for PS3 and I wasn't about to pay full price for it. I had fond memories of playing Twisted Metal on PS1 one time so I wanted to try another one. This one was pretty fun, but I felt that it lacked polish; winning a round was just a sudden notification without much fanfare and the presentation throughout the game was lacking. Overall though, the gameplay was fun. But I mostly just remember trying to beat the last boss in co-op story mode over and over. After playing the latest Twisted Metal, I don't want to go back to this one. Twisted Metal (PS3) - I didn't have to pay full price after all because my friend bought this game to play on my PS3 (and later his own PS3 just for this game). The online multiplayer is super fun and blowing people up never gets old. The single player mode is mostly frustrating and has a hodgepodge of challenges, including especially annoying races, so you'll want to get this one for the multiplayer. It should've probably been a $35 game rather than $60, but you can probably find it for that price or cheaper by now. Watch out though, it requires an online pass (*shakes fist*). Superbrothers: Swords & Sworcery (PC) - The graphics and music are nice (when there actually is music), but as a game it's not that great. You'll be walking back and forth by clicking and waiting for your character to move across the screen. The puzzles mostly consist of clicking everywhere on the screen until you find the magic clickable areas. The Twitter integration that was hyped was useless to the game and just an advertising scheme (though I wouldn't be surprised if you wanted to share some of the game's amusing quotes). Also whenever a review says you have to wait for the actual moon phase to change to complete the game, they're lying because you can change it in-game. Gosh. Super Mario Kart (SNES) - I got this from Club Nintendo for Wii Virtual Console. Playing it now brought back memories of when I played with my uncle as a kid. I definitely didn't remember the "mini"map taking up half the screen though. The physics were also hard to get used to, but it was more fun than I expected. Amnesia: The Dark Descent (PC) - I didn't get too far into this one. It's not that it scared me exactly... it just gave me a headache to play and was tiring and not all that fun. I guess I'm not that into horror games. And, well, saying that it didn't scare me is kind of a lie. But really, I was fine until that one painting changed. Braid (PC) - During the summer I went back and tried to finish a couple indie games that I started previously. Braid was one of them and I can recommend it without hesitation. It's more of a puzzle game than a platformer and the puzzles alone make it enjoyable. But I'm sure glad I went back and finished it; the last level is mind blowing and makes the whole game all the more worthwhile. Limbo (PC) - Another indie game that I needed to finish, Limbo also is more puzzler than platformer, but these puzzles all involve figuring out how to not die in a given situation. The deaths are usually gruesome and unexpected, but rarely frustrating. The unique art direction and clever puzzle design really makes this game shine. Bastion (PC) - This may end up as next year's newly finished indie game as I never did complete this one. It's really good though. The music is great, the narrator is great, the story seems like it might be great if I went further, and the gameplay is much better than I expected (that is to say, great). For some reason, the isometric view made me hesitant, but it really is all around fun to play. Kid Icarus: Uprising (3DS) - For my first 3DS game, I definitely made the right choice with Kid Icarus: Uprising. This game is absolutely packed with content. It has multiplayer, a large range of difficulty options, tons of weapons which can be fused to make new ones, trophies and achievements like in Smash Bros. and Kirby Air Ride, and of course the gameplay is super fun as well. I haven't played every 3DS game on the market, but I would be surprised if Kid Icarus: Uprising isn't the best of them. That brings us to approximately halfway through the year. Click over here for part two! Game Kult: After a quick survey on Twitter, one of the games French gamers miss the most is F Zero. Nobody really understands why Nintendo hasn’t made a new one since 2004. Is there a chance we can see it back on Wii U? Miyamoto: [eyes open wide] I am really pleased to hear Twitter’s opinion, because since the first episode on SNES many games have been made but the series has evolved very little. I thought people had grown weary of it. I’d like to say: Thank you very much and try to wait by playing Nintendo Land’s F-Zero mini-game. I am also very curious and I’d like to ask those people: Why F-Zero? What do you want that we haven’t done before? Well Miyamoto, I know how you feel, because after reading what you had to say, my eyes were open wide too. Barely adding anything new to Mario Kart or New Super Mario Bros. sure hasn't stopped Nintendo from pumping out new installments of those games. And Call of Duty and Madden don't seem to have any problem selling in spite of being very similar every year. But ok, I understand. Ideally the series should evolve. Many would complain if it didn't (though many more would complain if the changes were too extreme). So with that in mind, let me suggest what could be done in the next F-Zero. 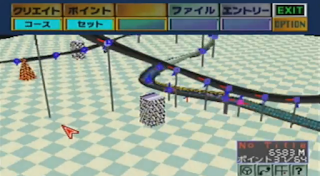 The F-Zero X expansion had a track editor. Let's do it again. Alright, so, that's quite a lot of stuff to include from the start. If Nintendo's other series are any indication, there's no guarantee that all the characters would return, but you can assume that there will be at least thirty characters. Actually, Mario Kart games often drop features introduced in the previous game, like Mission Mode, so we can't really count on a return of Story Mode or X-Cup. But just because we can't count on them, doesn't mean they shouldn't be there. We had these things before and it'd be a disappointment not to have them again. Already, Death Race and X-Cup from F-Zero X were dropped in the transition to F-Zero GX. Even more disappointing is that in F-Zero Climax for GBA and F-Zero X Expansion for the N64 DD, both of which never made it to the states, there were track editors. We know it's possible; ModNation Racers and LittleBigPlanet Karting are entirely focused around track editing, so why not make that one of the new F-Zero's selling points too? We've yet to get an online F-Zero game; being able to race online and share custom tracks with the world would alone be worth having a new game for. As much as I don't want to admit it, it's true that F-Zero hasn't evolved a whole lot from game to game. But that's just because the core gameplay of risk-and-reward racing is so darn good. Apart from that, the series has evolved by making the jump to full 3D tracks and adding story mode, death race, vehicle customization, and other things. The core gameplay doesn't need to change, it just needs more ways to be shown off. Having a variety of modes beyond Grand Prix would do just that. The new F-Zero could bring back and spruce up Death Race, have a new story mode, revisit Challenge Mode and Zero Test from the GBA F-Zero games (in which you had to complete specific parts of tracks with specific vehicles within a certain time limit), and even add a new mode or two. I think that expanding on Challenge Mode to include things like "Get this much air on Big Blue" or "Reach a top speed of x on Sand Ocean" in addition to quickly completing preset scenarios would be a great addition. For a new mode, there could be something like WipEout HD's "Zone", in which your vehicle moves forward on its own and gradually speeds up until you screw up and crash. Of course, with all these modes (though really, it could be fine with just a few of them), you'll want some incentive to play them all. For many, getting a gold trophy next to everything is incentive enough, but we can do better than that. Completing challenges would open up new challenges, time trials would have the staff ghosts and times to beat brought to the forefront (and online leaderboards of course), and vehicle parts, alternate vehicle colors, and track editor parts could be scattered about galore as unlockables. And I don't think anyone would complain if achievement grids (a la Kirby Air Ride and Kid Icarus: Uprising) were brought in to give you even more to work towards across all modes. There could even be collectible trophies like in Super Smash Bros. that would be view-able in a gallery. Just having something to work towards, even if it is just a virtual trophy or surpassing someone's record online, would make the game that much more fun to play. F-Zero would be an ideal series with which to demonstrate the Wii U's power. 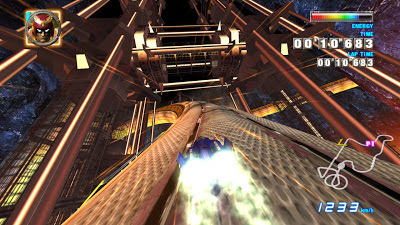 On GameCube, F-Zero GX's graphics were mind blowing; an HD F-Zero would truly be a sight to behold (WipEout HD sure is). It would also be the perfect game with which to demonstrate that Nintendo knows what it's doing with online gaming. Online races (with lots of options, please), leaderboards, custom track sharing, and more would be a welcome step above what Nintendo usually does with its online games. And while the Wii U GamePad's screen and motion control wouldn't exactly be ideal mid-race (well, an option for motion-control might be ok), the screen would certainly be of use for the track editor and local multiplayer, which could support five players at once. Also, as much as I hate to admit it, DLC would be a good option for Nintendo with a new F-Zero. The series' fanbase might not be huge, but it is dedicated. If Nintendo were to sell new parts for the track editor, vehicle skins, and professionally made tracks, people would surely buy them and help to recoup the difference in sales that a more popular franchise might get. 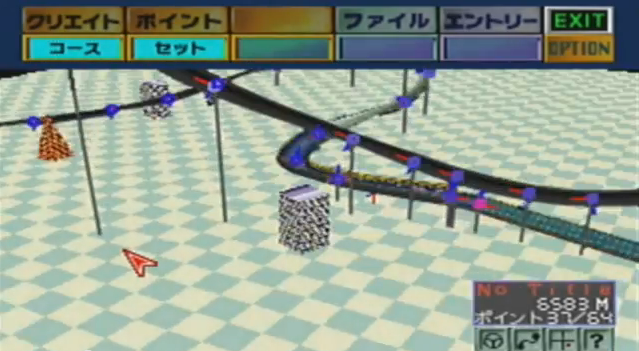 Honestly, just having an online and HD F-Zero with new tracks would be worth it. But making a track editor and online track sharing a main feature of the game would really make it sell. 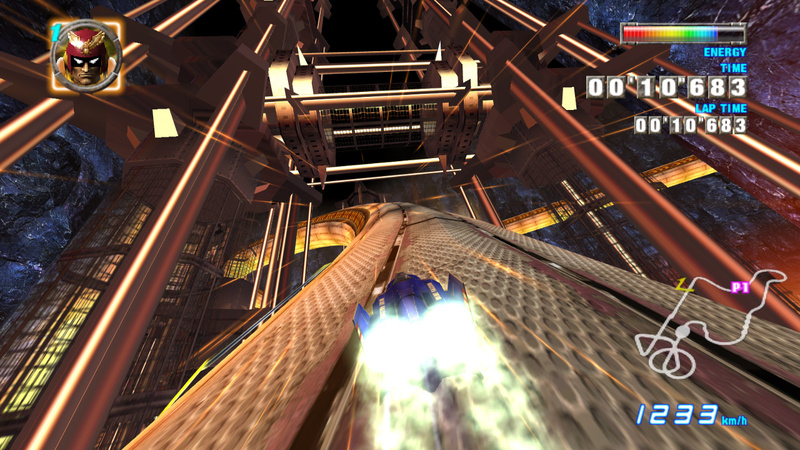 With limitless tracks to play, people would be playing the new F-Zero for a long time. F-Zero fans don't want any major changes to the core gameplay, we just want more ways to enjoy that core gameplay. The technology is ready, the fans are ready; it's about time we had a new F-Zero. 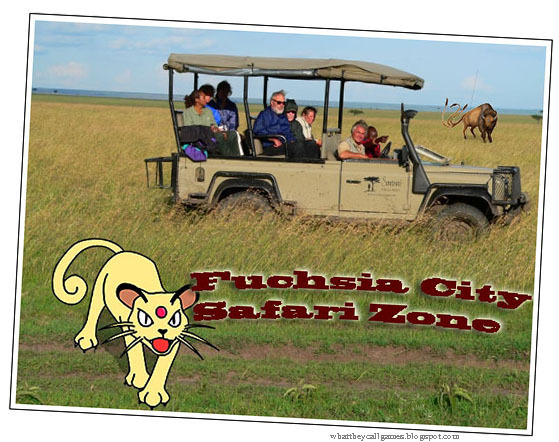 My first stop on my trip around the world was to the Fuchsia City Safari Zone. I went to the zoo outside the Safari Zone as a kid once, but this was my first time in the Safari Zone itself. It would be an understatement to say that I don't recommend it. The promise of being able to catch rare pokemon may be alluring, but if you read the fine print you'll see that you can't use any of your own pokemon. Instead, you're encouraged to toss bait to the dangerous wild pokemon and then throw rocks at them. When I finally gave in and tried, it was mere minutes before I was running for the exit with a charging tauros behind me. To make matters worse, I couldn't understand a word the warden was saying as he guided us on the safari. If you come here, stick to the zoo. Ever since I watched "Vermilion Jones" I've wanted to visit an archaeological dig. It turns out that there's one ongoing in the Johto region at the place known as the "Ruins of Alph". 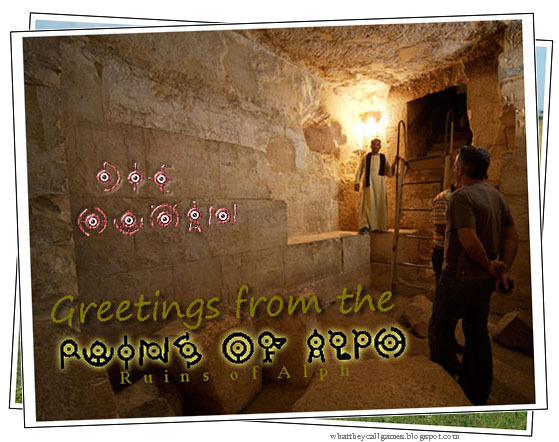 Much of the research there appears to be concerning the ancient language written on the walls of the ruins. I consider myself to be pretty smart, but I couldn't make heads or tails of it. 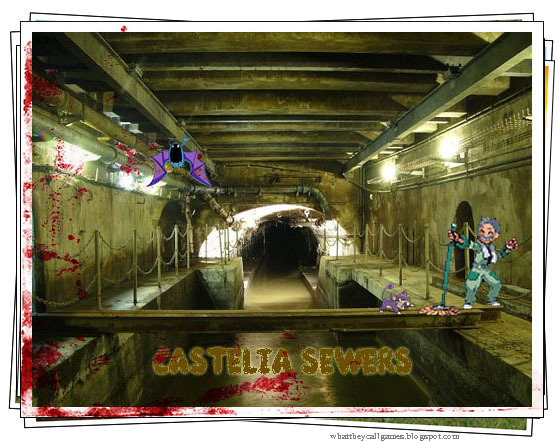 It didn't help that whenever I was in the ruins I was struck with this uneasy feeling and a nauseating headache. I'm sure I was just imagining it, but I felt like I was being watched and that there was some evil energy there. As such, I didn't spend much time there and hurried back to my hotel to rest. After hearing about the underwater caves and varied aquatic life of the Hoenn region, I was really looking forward to scuba diving there. Wouldn't you know it, it's not as easy as renting some scuba gear and going diving. 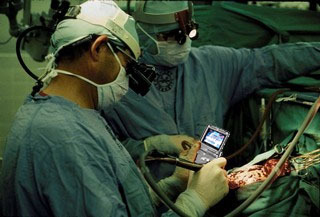 Instead, you have to surf out on a pokemon and then dive down with the pokemon. Whenever I tried to ask someone how I would be able to breathe while doing this, they'd just snicker and tell me that I'd figure it out. Well I went out with my whiscash and tried it anyway. On command, the whiscash dove underwater with me hanging on for dear life. What followed was repulsive beyond belief: when I started to worry about air, the whiscash stopped, turned to me, and breathed fishy, mucky air directly into my mouth in a horribly intimate sort of kiss. I just about threw up and drowned on the spot, but kept my wits enough to urgently direct the whiscash back to the surface and then to shore. 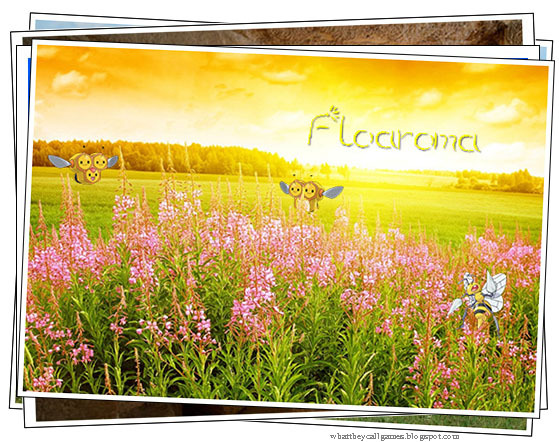 I thought it might be a good idea to take it easy in a less touristy place, so I went to the rural town of Floaroma, which is famous for its flowers. I dropped my luggage off at my hotel and then set off with the intent to relax in the meadow and catch up on reading The Legend of Mew. Unfortunately, the place was swarming with bee pokemon so that you could hardly move for fear of being stung. By the time I did finally find a spot to sit down, my allergies were so bad that I couldn't even see the pages of my book. Still, this was probably my favorite stop so far. Rule #1 of traveling: call ahead. 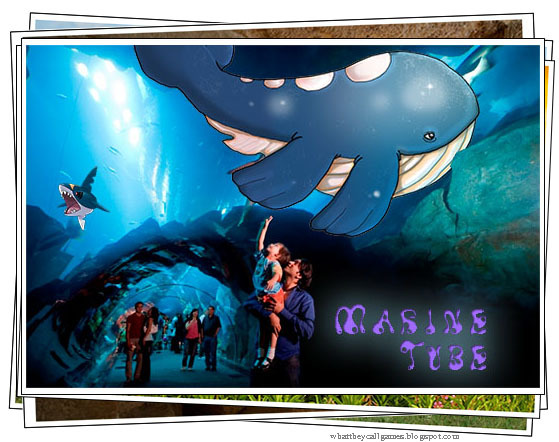 All over Unova, I'd seen advertisements and heard hype for the Marine Tube, which connects Undella Town and Humilau City. Well I finally got there and get this - it was closed! There was a man blocking the way who told me that it was closed for cleaning. I tried to tell him that I had traveled a long way and really wanted to go in, but he wouldn't hear it. I even tried sneaking past without success. Of course, the gift shop was still open, so I was able to get this postcard, but I'm definitely going to complain to the manager later. Hope you're having a better time than I am. I'll be taking a ship out of Castelia the beginning of next week for my return trip, so I hope to see you soon. I just got mugged! I was waiting for my ship to arrive when some ruffian appeared, had his pokemon beat me up, stole all my money, and dumped me in the sewer. I'm in rough shape and I don't know if I'll make it. I managed to buy this postcard off of a bum living down here by trading him my shoes... but I don't have much strength left to write. The Pokemon Center only treats pokemon, so I don't know where to go. Please tell everyone I love them. If I don't make it back, you'll know where to find me. 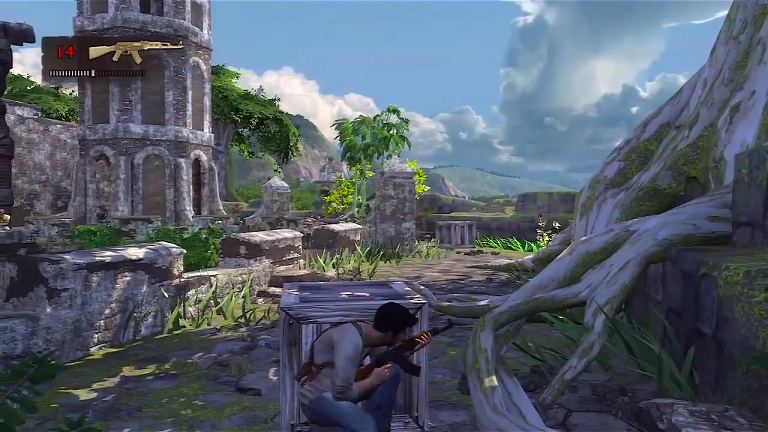 Uncharted looks pretty cool. And it is pretty cool in a lot of ways, but at the same time that appearance of coolness just helps you forget or ignore that the actual gameplay is a bit repetitive and not all that deep. The game takes you on an Indiana Jones-esque adventure with Nathan Drake in search of treasure, and it really is like being in an action movie. The voice acting and writing is some of the best I've heard in a game and makes the game feel high quality. There are also some epic scripted events in which you must narrowly avoid danger (sometimes using quick time events) just like an action hero. For the most part though, once you get past the first couple chapters, even though the acting continues to be top notch, the story starts to drag. It's pretty much just following the trail to the treasure while killing the bad guys before they can kill you. Along with the convincing writing and acting, Uncharted will also try to convince you of its high quality with its stunning graphics. The lighting, water, and bright jungle foliage are the first noticeable things, but the rest of the environments are also a sight to behold. While the enemies may start to look the same after a while (no, not just because they're foreigners, you racist) and sometimes have wonky death animations, the main characters look pretty good, especially at a distance. They even get convincingly wet when you'd expect them to. Unfortunately, the novelty of the graphics does wear off after a while, since much of the game is spent in the same sort of environments: jungles, ruins... more ruins. And while the graphics are nice, the level design will often leave you feeling like you're being herded in one direction by an "impenetrable" wall of trees or other similarly arbitrary obstructions. Actually playing the game consists of three kinds of segments: shooting, climbing/exploring, and driving. Shooting basically amounts to hiding behind cover and poking out to shoot the bad guys whenever they peek out from their own cover. You can also melee enemies with a "brutal combo", but there aren't really any other kind of melee combos. You'll encounter a variety of weapons, but you'll only be able to hold one kind of pistol, one other kind of gun, and a few grenades at a time, so there's a little strategy in deciding when to pick up a new gun. The liberally available achievements for killing a certain number of enemies with each gun are also a motivation to try something new. Basically, whenever you see the telltale obvious cover spots, you'll know there's a shooting segment coming. For a lot of the game, you'll also have Elena, a documentary camerawoman along with you. I can't tell if she actually helps shoot, but she pretends to. Luckily, she seems to be unkillable, since after yelling in surprise at an incoming grenade, she was more than happy to enjoy its delicate warmth by not even attempting to get out of the way. The climbing segments are basically like those in Shadow of the Colossus only without the stamina gauge. Against all odds, Nathan Drake is better than all the guys on Ninja Warrior and has no problem hanging from ledges and jumping over huge chasms. Sometimes a ledge will start to break away, forcing you to hurry to the next one, but rarely are these segments very hard. At first, they'll feel cinematic and kind of like puzzle solving, but as you go on, they'll start to get repetitive. The only real challenge with these segments is spotting the grabbable ledges you need to start with, but after that it's easy-peasy. 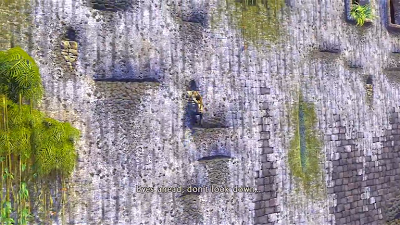 If, however, you fall, you'll be able to restart a short distance back. For as strong as Nathan is with climbing, his ability to survive falls is much less regular and depends on where the game allows you to go. You won't mind if the fall kills you though, because dying is better than falling all the way down and starting from the beginning. Also during these segments, you'll be able to look for shiny dots hidden (almost always) in the corners which indicate treasure. Picking them up adds to your list of treasures and for every five, you get a trophy. Speaking of these trophies and achievements, the game has its own set of achievements in-game. They're the same as the PSN trophies, but the in-game achievements also have point values. If you get enough points, you can unlock special features and cool options like mirror mode. Alright. So then there's the occasional driving segment. These will having you manning a gun while someone else drives or driving a jet ski while shooting. None of these are all that fun. 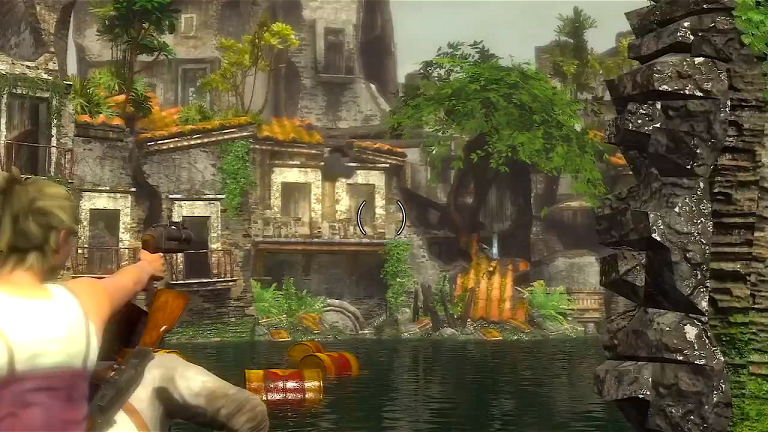 The more frequent jet ski segments will have you avoiding inexplicably numerous explosive barrels and enemies popping out and shooting at you. Now that you can finally move faster, your first instinct might be to go as fast as you can, dodging everything. You will probably die if you try that. I found that I was best off when taking my time, shooting the barrels, shooting the enemies at a distance, and then going on my way. Unfortunately, while you can move and shoot, you'll have to rely on auto-aim which works well on barrels but not enemies. If you want to aim and shoot, you'll have to stop and make yourself vulnerable. So yeah, these are fun for about thirty seconds, but then you'll be wishing you were back on foot again. And that's basically all there is to the game. 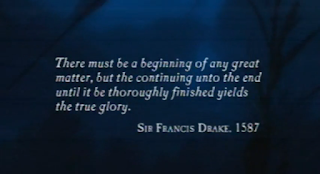 You cycle through climbing, shooting, and driving several times, get a cutscene that rarely adds anything interesting to the story unless you're early or late in the game, and then do it some more. It's not unenjoyable, and the graphics and good acting will probably distract you from the repetition for a while, but it's probably good that the game only takes a little over ten hours to finish. Any more than that, and it would definitely start to wear thin. 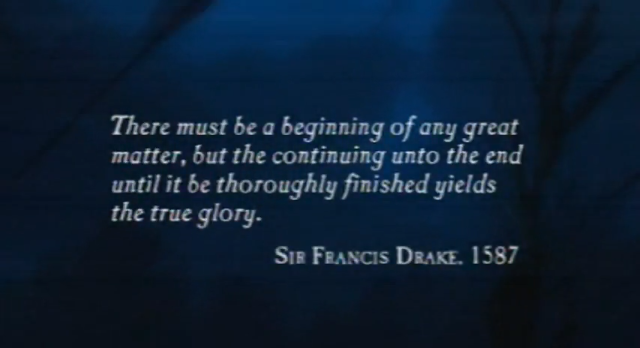 At the beginning of the game, this quote was shown. By the end of the game, I was convinced that it was there only because they doubted whether players would actually have the patience and attention span to finish the game, let alone "thoroughly finish" it. 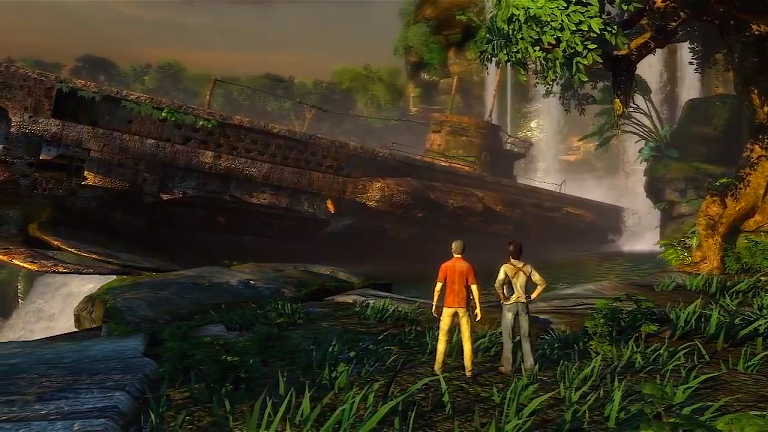 Hopefully Uncharted 2 changes things up a bit. I hate to do two From The Web (FTW) posts in the same day, but once again, this breaking news has pushed me to it. Capcom has announced today that Street Fighter X Mega Man will be released as a free PC download on December 17, 2012. From the trailer, it looks to be a completely new Mega Man game in the same style as the original series, but instead of robot masters, you'll be fighting characters from Street Fighter. Or maybe robot versions of them... Anyway. It says "8 new bosses" and "8 new weapons" so there looks to be plenty of reason to get excited. Check out the reveal trailer below! Update: Street Fighter X Mega Man is now available for download! You may be seeing that title and wondering what it means. Well, it's just as it sounds: by taking advantage of a bug that lets you overwrite data in the game's memory, it is possible to write and run any code you want from within Pokemon Yellow. While this was performed on an emulator with automated button presses, it would theoretically be possible to do on an actual Game Boy. Confused? The explanation can be found in detail here, but if you don't know much about programming it probably won't help you a whole lot. Basically though, there's a glitch that lets you mess with items beyond the twenty slots you're supposed to have in your bag. Once you do that, you're messing with data that isn't normally supposed to be messed with. Each item, pokemon, or anything else in the game has a numeric value. If you know what these values are, you can use them to change other parts of the game's memory to what you want. For example, in this tool assisted speed run, the glitch is used to change the destination of a door so that it warps the player to the Hall of Fame instead. In the video above, this idea was taken to the extreme and by moving just the right number of just the right items to just the right places, the corresponding values in memory spelled out a program that could be run. In this case, the program was one that allowed you to write more programs by using button presses rather than item transfers, and displayed the input values on-screen. The end result? A program that displayed a picture of balloons and played a MIDI of the My Little Pony theme. Worth it. The Pokemon games are all quite good, and each new one brings a good deal to the table. Most impressive, is that the battle system is simple enough for a child to play, but has enough hidden depth for competitive players of all ages. Sure, it's not always completely balanced, but rules can be agreed upon among friends and in each tournament. I don't claim to be knowledgeable enough to suggest drastic changes to the already quite good battle system, so I'll just let the folks at smogon worry about that. What frustrates me is when a game with such a great core system has so many other, often minor, improvements that could be made. But of course, it still sells ludicrously well without changing these things, so why would Game Freak bother? For the love of the craft perhaps? Nah, I'm kidding myself, it's all about the product and sales for them. Anyway, let's start with the stuff that has been improving, but not to the extent that it should. Say no to HM slaves. HM moves have been a Pokemon annoyance since the first games. You need them to navigate the world, but they use up one of the four moves of one of your Pokemon. These moves then can't be easily deleted, are often useless in battle, and when there's five or more HMs to use, it becomes quite a hassle. Black and White versions finally improved on this system by not requiring you to use HMs to finish the game; instead only requiring them for optional areas. Unfortunately, this made the game feel more linear, as other arbitrary roadblocks were set up instead of barriers requiring HM moves. Also, the problem of the HMs still exists, even if it isn't to the extent that it used to be. How about instead of using HMs to move boulders and cut trees, there's a key item that you need to have? Or, keeping with the spirit of Pokemon, you could teach your Pokemon HM moves separately from their battle moves. That way you could have a separate list of what they can do outside of battle without making them totally useless during battle. The story of Pokemon has always been the same: you have to get eight badges, beat the elite four, and stop some evil organization along the way. Honestly, that basic formula does not need to change for the story to improve. And the story has improved a little in recent games, but it still feels boring and uninspired. It's like they had to make a shell to put the great battle system into so they just said "Oh, alright" and made the first lifeless plot that they thought of. I don't think it's that the translations are bad; I think it's that the original writing is bad. Pokemon is an RPG, and as such, not having a compelling plot is missing a huge opportunity. The Pokemon universe has the potential to be epic and interesting, if only Game Freak would hire some better writers. The graphics don't necessarily need to change. The current sprite-based 3D look is quite cool and I can understand the desire to maintain the same art direction. However, I've heard countless times that people would like to see a real Pokemon game on a home console in 3D. With the 3DS (and with the DS), it's possible to have a 3D Pokemon game on a handheld. Sure, it's not necessary, but I think that exploring the colorful world of Pokemon with a free camera and 3D models would bring the game to life in a significant way. Multiplayer has always been a huge part of Pokemon. Battling and trading are definitely the essentials and as they are they work pretty well. The Global Trade Station (GTS) by which you can offer up trades and find trades online is a good start, but it could be improved. It is hopelessly clogged with impossible trade offers for level 9 and under legendaries, refreshing search results is cumbersome, and there's no way to specify that you are searching for a shiny Pokemon or one with a particular nature. Battling works well, but with random matchups online you'll only ever find ridiculously good people or people who disconnect without a penalty whenever you seem to be winning. Additionally, I can't count the times I've heard people say they want a Pokemon MMO. I'm not going to suggest that. While I think it would be cool, I also think that it would be better as a spinoff game rather than one of the series' core games. I also understand that there is almost no chance of it happening. What I suggest instead is that you be able to see your friends running around in your game just as they are in their games, as long as they are in range of local wireless. You would then be able to talk to them to initiate a battle, trade, or minigame. Of course, you would still be able to initiate those things without being in the same place as them too. Difficulty settings were added in Black 2 and White 2, but the way of unlocking them is convoluted and defeats the purpose of having them. Basically, beating White 2 unlocks an Easy Mode option while beating Black 2 unlocks a Challenge Mode option. This can then be sent to another person's game to unlock it for them. Unfortunately, what this means is that you won't be able to play through the game in Challenge Mode or Easy Mode from the beginning unless someone sends you the key to unlock it. This design choice boggles my mind. It's better than not having the option at all, but increasing or decreasing the difficulty after the Elite Four is mostly pointless. What's even more frustrating is when a handy or cool feature is implemented in one game and then not used in the next. Secret bases from the third generation weren't necessary, but they were super fun. Basically, you could claim one of many designated areas in the world, make a secret base there, and decorate it with items that you buy or find. It was kind of like a mini Animal Crossing game in Pokemon. 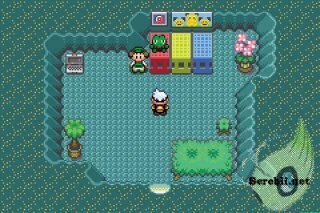 Even better was that when you mixed records with people, their secret base would become accessible in your game and you'd be able to battle a computer controlled version of their team once a day; a very good way of getting quick experience and extra challenge. make mistakes, so be careful not to screw up your EVs. L=A was an option available from the third generation to the fourth (what Bulbapedia says is wrong; it ain't in Black and White). It let you use the L button as the A button, which meant that if you had a mind to, you could do almost everything just using your left hand, leaving your right hand free to cure cancer or pet your cat or whatever. Anyway, it was quite handy and I want it back. Being able to rematch trainers ought to be a no-brainer. So why isn't it in Black and White? We had this feature before, but now we don't. There's no reason why you shouldn't be able to rematch every trainer and gym leader in the game if you want to. There are a few other things too that are less necessary but still missed by some. Things like having a Pokemon follow around behind you, being able to use the bottom screen as a step counter, and minigames like the Pokemon Contests and Pokeathlon are just a few of the things that would be welcome to return. When I think of things in Pokemon that make the game less fun and more of a chore, there are a few specific things that come to mind. First, the encounter rate is too damn high, even when the wild pokemon are at levels far below your own. But my solution isn't as simple as lowering the encounter rate. I would make it so that if the wild pokemon in the area are at a much lower level than those in your party, the encounter rate would decrease or stop entirely. However, supposing you wanted to encounter a pokemon, you could hold a certain button to walk (this is where autorun comes in) which would allow you to encounter pokemon regardless of your level. 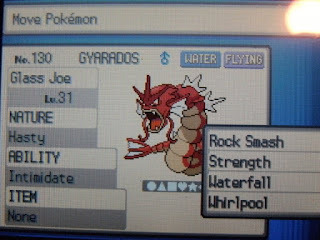 Second, transferring pokemon is a huge pain when it involves more than just a few. In every new generation you'll probably want to transfer many of your pokemon from the previous version - and you can - but you'll only be able to do a few at a time and will also have to do some silly minigame first. Similarly, when trading between versions of the same generation, you'll only be able to trade one at a time, very slowly. It would sure be nice if you could just give your pokemon to the other game without having to trade, and if you could give more than one at a time. While we're at it, why not make trading a feature of the PC box? The pokemon boxes also need an overhaul which would allow you to easily order your pokemon by type, number, level, etc. and also be able to manually move more than one at a time (edit: it seems moving multiple Pokemon is actually possible). Also, why are there so many menus before actually getting to the box? It asks if you want to withdraw, deposit, or move your pokemon, but you can do all three of those by selecting the move option, so why are the others even there? The EV and IV system is also a big pain for competitive players and is what leads many to resort to hacking rather than spending the time required for breeding and training. For those who don't know, effort values (EV) and individual values (IV) are what determine your pokemon's stats (along with their nature and species). The IVs are determined when the pokemon is created and EVs are accumulated as you battle, with each pokemon giving EVs for certain stats. This means that if you battle a bunch of the same pokemon, one stat will increase far more than the others when you level up. Items like the macho brace can help you gain more EVs and cut down on the training time, so while it is a pain, it's not as big of a pain as trying to get good IVs. IVs can be bred for, but breeding takes tons of time and trying to get good IVs that match the nature and ability you want takes even longer. The benefit of EVs and IVs from the developer's perspective is that it makes every pokemon unique. Unfortunately, in competition it means that the person who wastes obscene amounts of time on it (or hacks their pokemon) has the advantage. Fixing this is a bit more complicated. Breeding still needs to have a purpose; perhaps just getting the ability, nature, and egg-moves (and pre-evolutions of course). IVs could probably just be dropped entirely, and EVs could be replaced with a stat distribution system which lets you decide which stats to focus on at each level up. Finally, something less serious but totally awesome that I'd like to add is character customization. I want to be able to dress up my character and change their look. 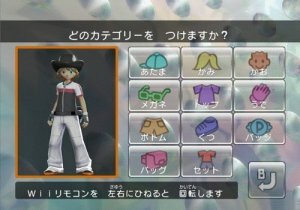 Right now you can choose to appear as one of the many other trainer types you battle throughout the game during multiplayer, but I'd like full customization that I can see in single player and multiplayer. They had this in Pokemon Battle Revolution and it was one more thing to try to achieve. It's not just the fun of playing dress-up (teehee), it's showing how awesome you are by showing off your hard to find clothes. It's wearable trophies and I want it. And that's everything that I can think of for now. Thanks for reading this rather long post, and if you have any other suggestions for how to improve Pokemon, let me know in the comments. Or maybe the improvements I'd make to F-Zero and Mario Kart.